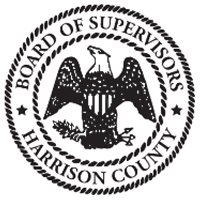 Welcome to the Harrison County, MS Property Search Application for Board of Supervisors approved 2017 parcels and land roll. 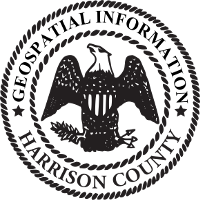 Harrison County residents and visitors can use this site to find information on properties in Harrison County courtesy of Tal Flurry, Tax Assessor. To get started, use the tools below to search for a property by Owner Name, Address, Parcel ID. PPIN, or Section-Township-Range. You can also use the map tools to zoom in and identify properties manually. Harrison County, MS, its employees, agents and personnel, MAKES NO WARRANTY OF MERCHANTABILITY OR WARRANTY FOR FITNESS OF USE FOR A PARTICULAR PURPOSE, EXPRESS OR IMPLIED, WITH RESPECT TO THE INFORMATION CONTAINED ON THIS WEB SITE. Any user of this information accepts the same AS IS,WITH ALL FAULTS, and assumes all responsibility for the use thereof, and further covenants and agrees to hold the Harrison County, MS Government, its employees, agents and personnel, harmless from and against any damage, loss or liability arising from any use of the information. Independent verification of all information contained on this Web Site should be obtained by any user. Harrison County, MS, its employees, agents and personnel, disclaims, and shall not be held liable for, any and all damage, loss or liability, whether direct, indirect, or consequential which arises or may arise from this Web Site information or the use thereof by any person or entity. Proprietary Information - The map products and databases on this Web Site are maintained by Harrison County, MS. Harrison County, MS hereby reserves all rights thereto, and no portion of the products or databases on this Web Site may be reproduced in any form or by any means without the express authorization of Harrison County, MS or its authorized agents.